Cross-industry collaboration, cooperation between startups and large corporations, and closely watching business trends are key to triggering innovation, business leaders and industry experts said Friday at a Tokyo event. Innovation often occurs in the tech industry and at up-and-coming startups, but it can also take place in centuries-old companies as they adjust to current trends. One example is Hosoo Corp., which has been producing traditional Nishijin-ori (a kind of traditional textile) for more than 300 years in Kyoto Prefecture, was one of those featured at the event. The manufacturer has developed weaving machines that can make Nishijin-ori with a width of 150 cm, when traditionally the width has been set at 32 cm for kimono and obi (kimono sash). But that’s inconvenient for other uses, such as fashion and interior decoration, according to Hosoo President Masao Hosoo. 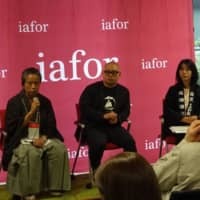 “We believe Nishijin-ori is the most beautiful silk textile in the world, so we want people around the world to know, buy and use this beautiful textile,” said Hosoo during the Global Innovation Value Summit, organized by the Nagoya-based International Academic Forum (IAFOR). Decades ago, Hosoo said, kimono had annual sales of about ¥2 trillion, but that has now shrunk to about ¥28 billion due to lifestyle changes. 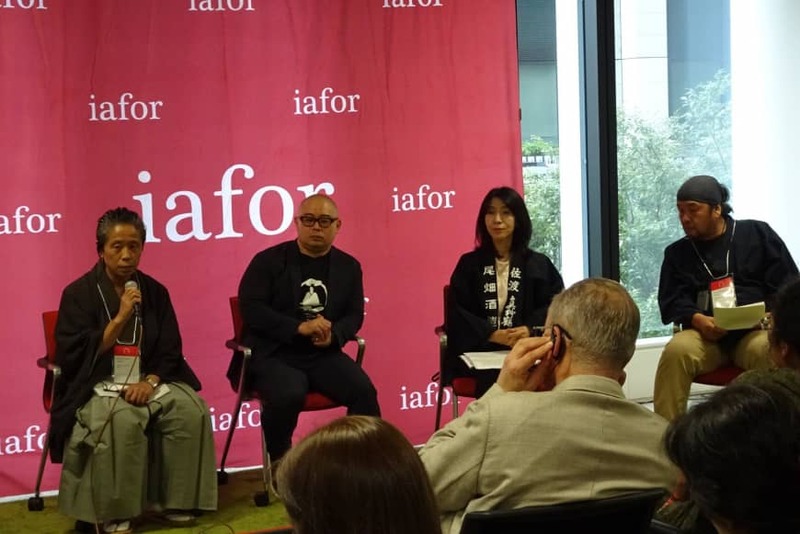 “We have to spur innovation in order to create new products and services that can be marketed globally, so we can broaden the possibilities of Nishijin-ori textiles and our economic activities,” he said. The firm also uses artificial intelligence to find weaving patterns that humans would not be able to think of. “How do you bring innovation and impact to society? No. 1 is find the mega trends. Identifying the next big thing, the next big wave, is the key to success,” said Semmoto, who now chairs renewable energy firm Renova Inc.
“You need both inspiration and perspiration” to find the next big thing, said Semmoto, stressing the importance of entrepreneurs going around the world to see things for themselves. Semmoto, who also founded mobile network operator eAcess Ltd., which was later bought by SoftBank Group Corp., said some promising areas are AI, the “internet of things,” blockchain and green energy. Another speaker, Oki Matsumoto, founder of major online brokerage Monex Group Inc., mentioned collaboration between startups and large companies, something which has become more common, as key to innovation. Monex purchased Coincheck Inc., a cryptocurrency exchange startup that lost about ¥58 billion in January after being hacked, in April. Matsumoto said young people at the Tokyo-based startup have good ideas and vision, but they just lacked the knowledge of internal controls and cybersecurity, which are Monex’s main strengths as it has been involved in running online brokerage services for almost two decade. “We are really trying to harness and support them so that they can grow. That’s what we are doing,” he said.